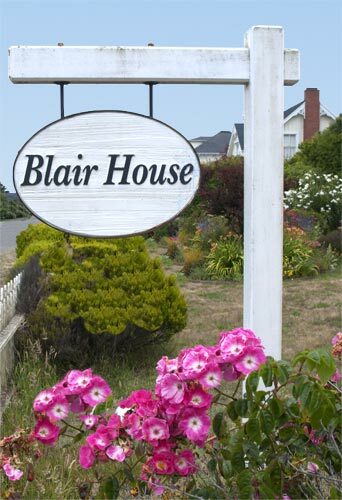 In keeping with the atmosphere of the late 1800’s, Blair House Inn does not offer televisions, radios or telephones in any of our guest accommodations. 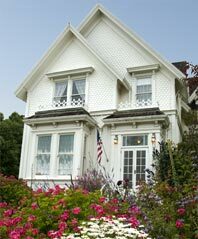 Most guests enjoy the calm, serene atmosphere of our inn, and appreciate the respite from their usually busy lives. Many enjoy sitting in our garden, watching the passersby. A few hints of the 21st Century have crept into the Inn and the area, however. We now have complimentary wi-fi, so bring your laptop, if you’re so inclined. Mendocino Village now has good cell service on most of the major networks (coverage in the wider Mendocino Coast region is spotty). One landline telephone is available for guest use, in the dining room. There are no charges for local calls, and long distance toll fees may be charged to guests’ credit cards. The Santa Rosa Press Democrat, an award-winning newspaper, is delivered daily. It is available in the dinning room along with the local weekly, The Mendocino Beacon. These publications have been selected to give you the best news information about our region. A complimentary bottle of wine will be presented to you upon your arrival. Our special innkeeper’s reserve is a Chenin Blanc produced by Husch Vineyards in Philo. Philo is located in the beautiful Anderson Valley, one of Mendocino County’s famous wine producing regions. Husch wines have been selected, as a favorite local wine label, by Blair House Inn owner, Grover Wickersham. A 15% discount coupon is attached to each bottle. Guests often agree with our owner’s taste, and plan a wine tasting stop at Husch Vineyards, on their way home. We strive to make your stay as pleasant as possible, by providing a toxic free environment, and use environmentally friendly cleaning products, without fragrance, whenever possible. We are fortunate to be located on the pristine Northern California coast, where we can air our rooms with the fresh ocean breeze, while listening to the pleasant melodies of local birds. Long range plans include rebuilding the original water tower building. A hot tub, high in this tower, will offer future guests even more stunning ocean views, and additional opportunity for rest and relaxation.